This is the first project newsletter for ‘The Impact of the Ageing Population on Employers in Hong Kong’ study. 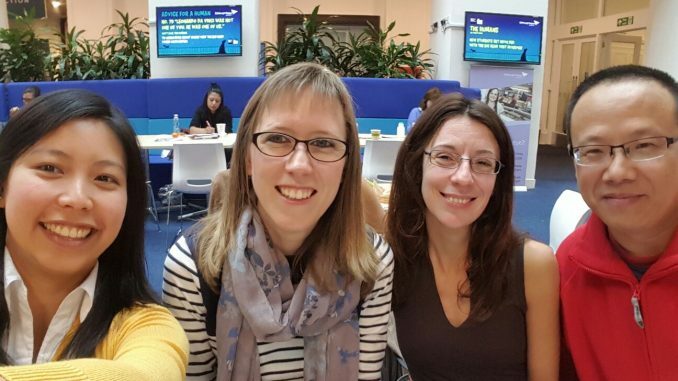 The research is being undertaken by Dr Valerie Egdell, Vanesa Fuertes and Dr Tao Chen from the Employment Research Institute; and Dr Nathalia Tjandra from the Marketing, Sales and Entrepreneurship subject group at Edinburgh Napier University Business. This research has been funded by the Lawrence Ho Research Fund. The aim of this research is to explore the impact of the ageing population on employers in the Hong Kong service sector. The population in Hong Kong is ageing and the makeup of the labour force changing. This will have a significant impact on employers in the service sector who are, at the same time, having to maintain productivity, address skills shortages, and meet market demand. The research seeks to understand employers’ policies and practices to manage an increasingly ageing workforce. Where are we with the research? The research team undertook 13 interviews with experts in the field to gauge their views the impacts of the ageing population on employers in the service sector between December 2016 and January 2017. In January 2017, Dr Valerie Egdell presented at the University of Hong Kong on the theme of The Ageing Population and Employers in Scotland. In March and April 2017 the research team also interviewed 20 Hong Kong service sector employers to explore in detail their opinions with regards to future company trends and the impact of demographic trends, as well as their attitudes and policies/practices towards older workers. The research team are currently analysing all this interview data. The research team have also developed an online survey for Hong Kong service sector employers in order to understand their experiences of the ageing workforce. The survey takes approximately 15 minutes to complete and will remain open until mid-June. The research team will be presenting initial research findings at the 2017 British Society of Gerontology Conference being held in July at Swansea University, and at the 2017 European Sociological Association Conference RN01 being held in August in Athens. Where can I find out more about the research?